Forget the simple cart with the notification, with Boutique you can increase order value by trust seal, undo remove, coupon code, up-sell products, live update total price when change quantity. This features only have from The4. 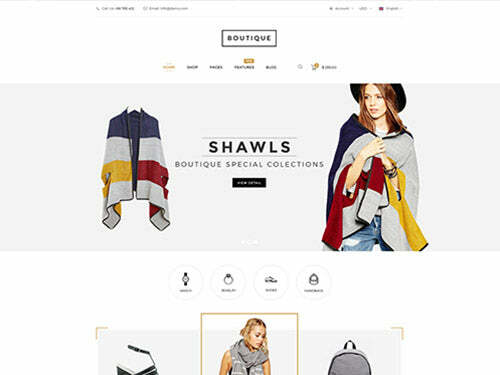 Boutique is a wonderful responsive theme with 20 homepages available and you can easily find out the homepage you want among many choices. The theme is tested to be 100% responsive with all devices. As a result, friendly mobile display should be given priority to check.